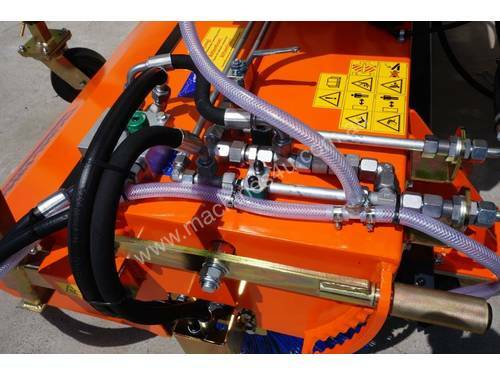 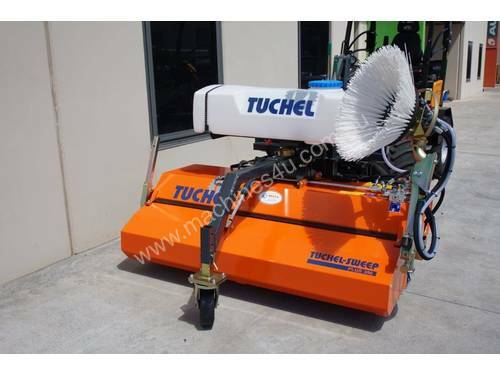 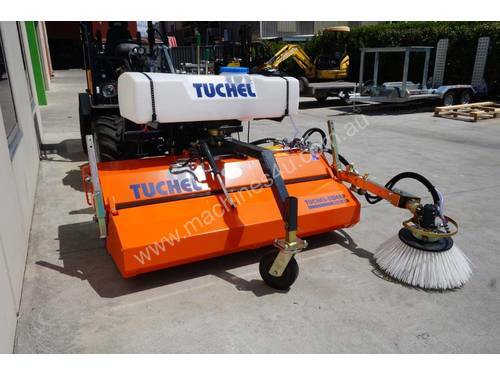 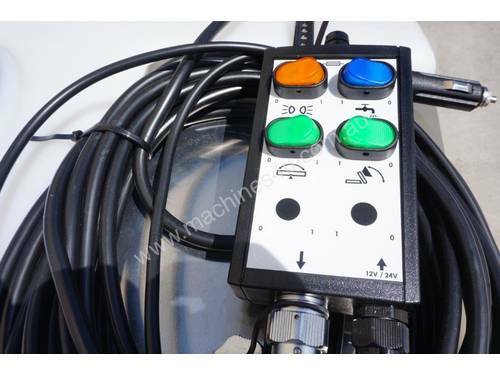 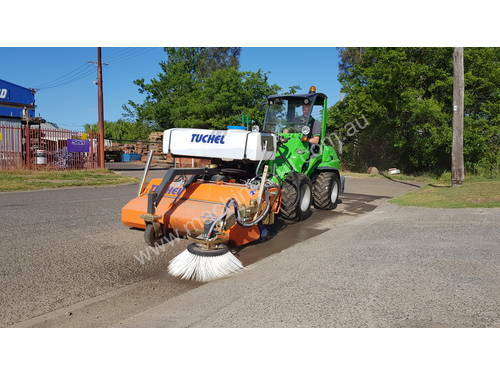 Angle Road Sweeper for Loaders & Skid Steers Specification Download PDF brochure. 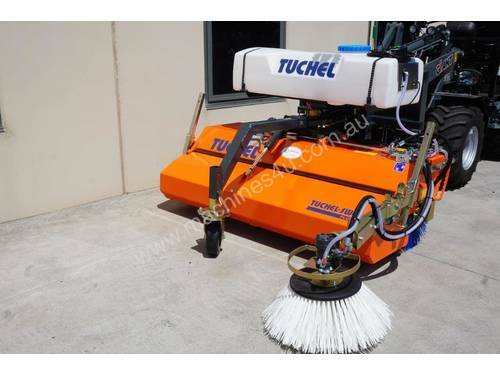 The new generation of the well-proven PLUS sweeper offers everything you could wish for. 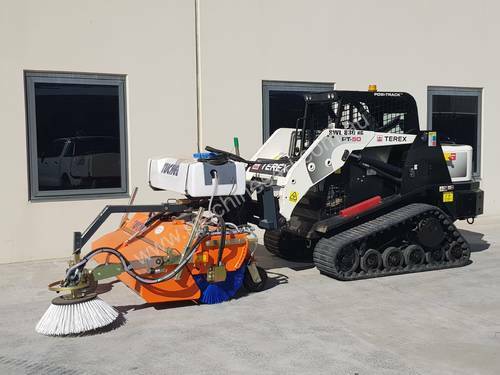 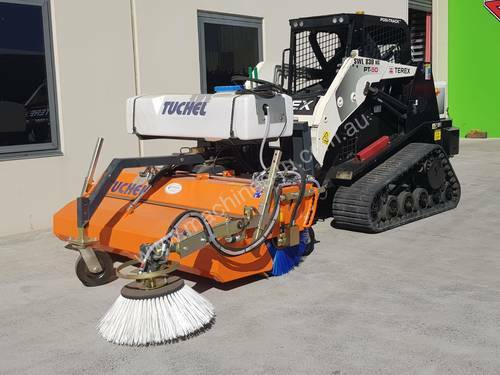 The broom of the new PLUS 590 has been enlarged while the broom positioning assures an even distance between broom and dirt collection, achieving the best possible sweeping-angle. 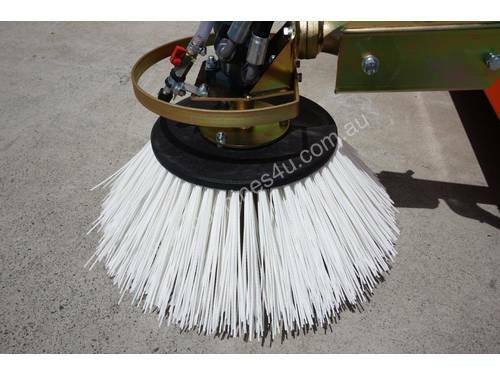 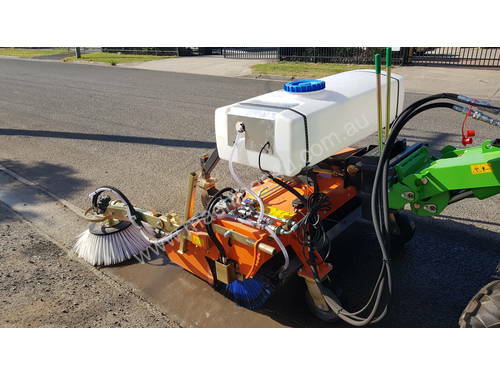 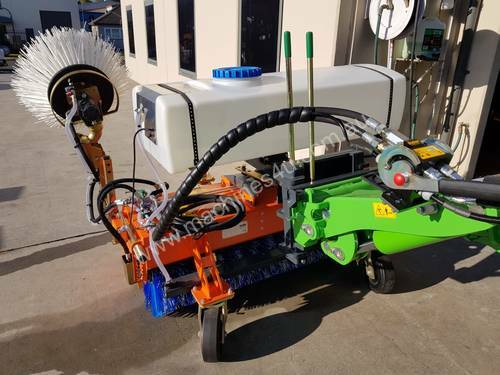 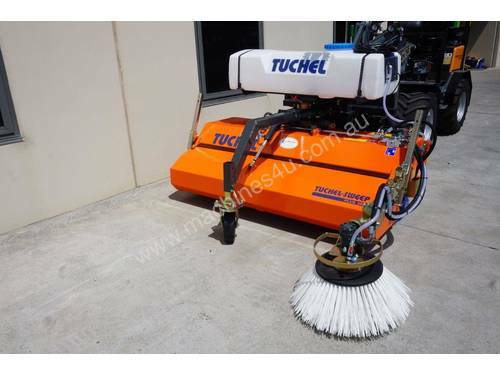 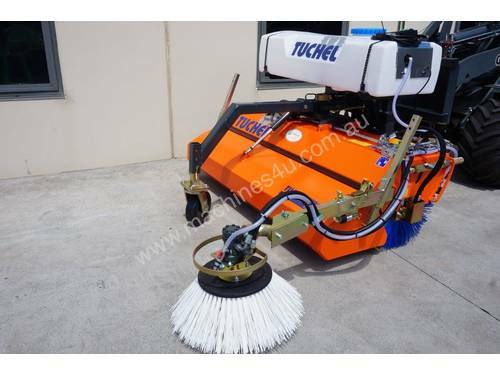 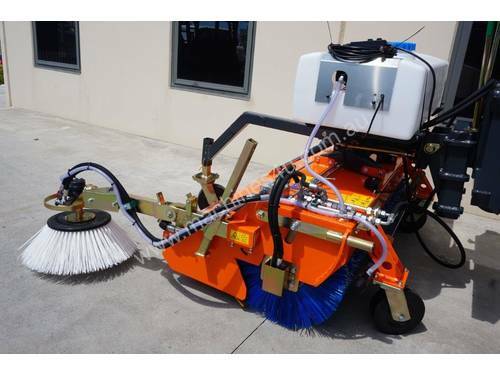 The unique PP-Beeline-Kombi brush ring system guarantees excellent sweeping results and high longevity. 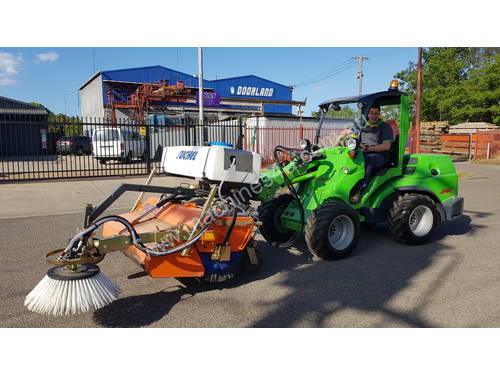 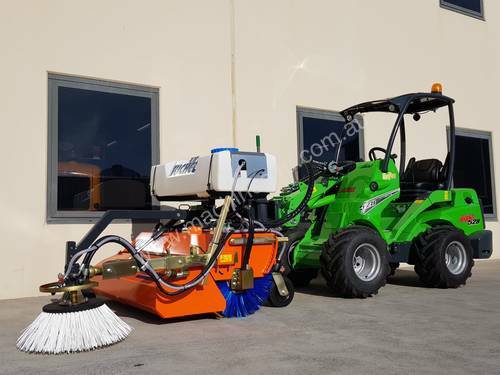 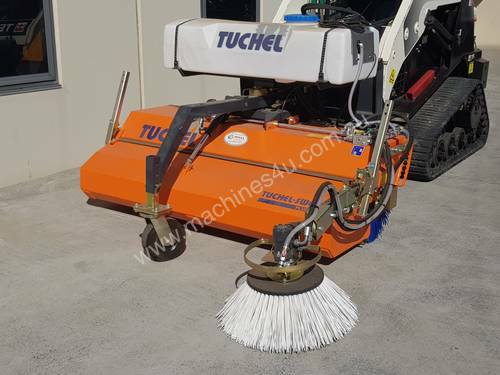 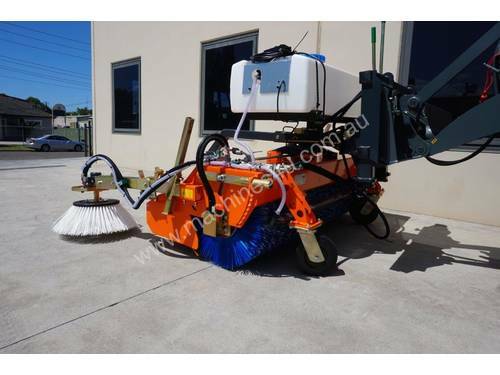 Another “PLUS” factor is the simple sweeping function, which enables the user to either work with the dirt collector or simply sweep without having to dismount the hopper. 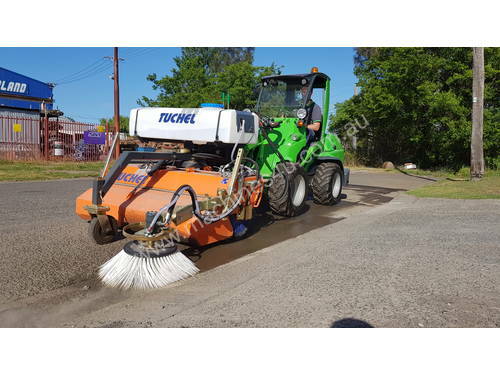 Thanks to its variety of attachment systems and working widths the multi-purpose PLUS 590 is versatile, fitting nearly all types of carrier-vehicles.